Polska Grupa Gornicza had two really good months, as impossible became possible and in October and November company had green financial result (15 and 18m PLN). By the end of 2017 PGG plans to spend around 900m PLN for new investments. 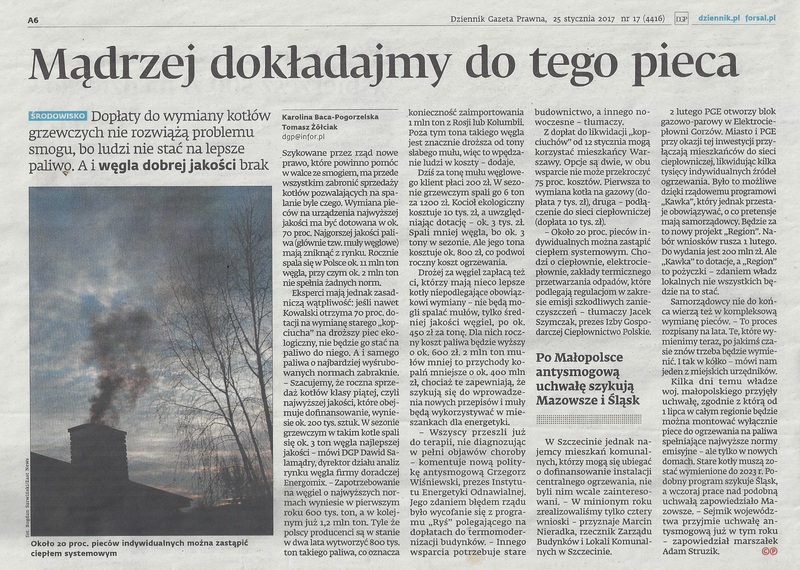 The fate of second largest steam coal producer – Katowicki Holding Weglowy – seems to be foredoomed, as Ministry of Energy is doggedly supporting the idea of 4 KHW’s mines being moved to PGG. Reasonable or arranged and unhappy marriage? Unhappy, as the most injured party is Enea, which trading branch had many plans with KHW’s coal (best in Poland). Going further in this soap-opera-narration, Enea will have a ‘consolation wife’ – Polaniec power plant, which was just bought from Engie for 1.07bn PLN. At least for once Bogdanka will be pleased with all the turmoil.